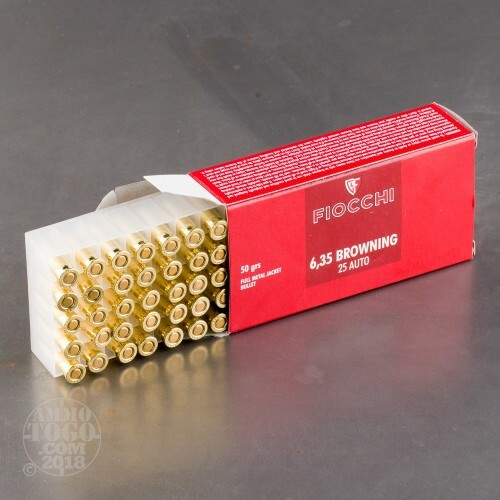 This 1,000 round bulk case of .25 ACP is a great way to support numerous future range sessions with your favorite vest or pocket pistol. 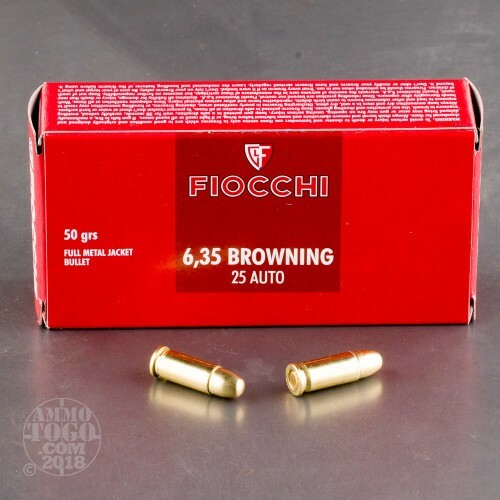 Fiocchi manufactures these rounds using top grade components which includes clean-igniting Boxer primers, reloadable brass casings, and fine-crafted full metal jacket (FMJ) projectiles. This particular FMJ profile features a toothed cannelure where it is affixed to the casing crimp; this ribbing prevents jostling and bullet setback which could cause of misfire or spoil accuracy. 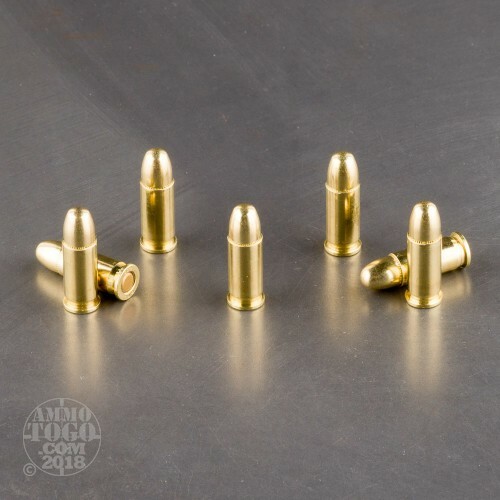 Each FMJ projectile weighs in at 50 grains which is a traditional heavy weight for the caliber and offers reliable function with wide range of modern and antique .25 Auto hanguns. 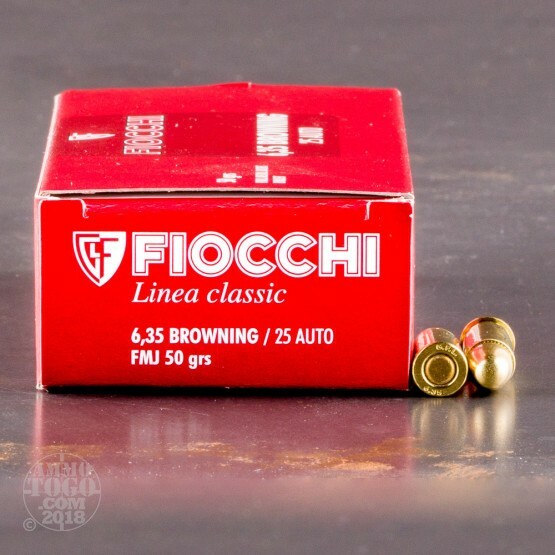 Fiocchi is headquartered in Lecco, Italy where they are neighbors with some of the most prominent firearms companies in the world. Their ongoing relationship with end users and competitive shooters ensures that their products are constantly evolving while maintaining dependability and quality that you can trust.